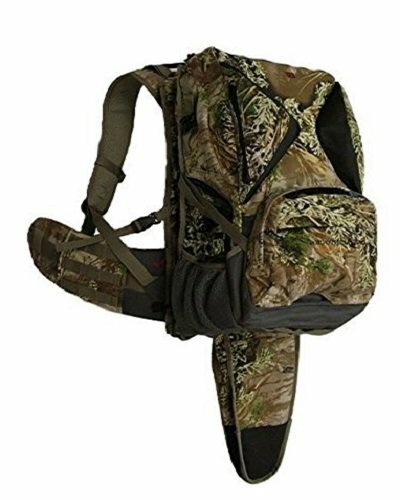 Every hunter loves a hunting backpack that is durable, lightweight and capable of conveniently carrying a weapon hands free while at the same time giving him or her easy and quick access to the weapons whenever they are needed. There are a number of rifle and bow hunting packs capable of offering hunters these things, and the Eberlestock X1A2 Nylon Backpack is a good example of such backpacks. Before proceeding any further, it is worth mentioning that the X1A2, which is an improvement on the Eberlestock X1A1 Backpack, comes loaded with all the important features of the original X1A1 in addition to other excellent features such as a new lightweight frame, a larger main compartment and a wider rifle scabbard, among others. In this article, we shall be reviewing the X1A2, which is widely renowned for its features that provide the hunter with light and fast mobility as well as comfort. At the end of this Eberlestock X1A2 Nylon Backpack review, we believe that you will know more about this product so that you can decide for yourself whether you need it or not. 1.9.1 Q: Who are the manufacturers of X1A2 Nylon Pack? 1.9.2 Q: How much does the X1A2 Nylon Pack weigh? 1.9.3 Q: Does the pack have an adjustable torso? 1.9.4 Q: What colors can I purchase the Badlands Pack in? 1.9.5 Q: Does the pack have a handle? 1.9.6 Q: Does the pack come with a rain cover? 1.9.7 Q: Does the pack come with a hydration bladder? 1.9.8 Q: Does the pack have a lifetime warranty? 1.9.9 Q. What are the dimensions of the pack? 1.9.10 Q. How do I wash the pack? The deep spotting scope pockets provide enough room for your spotting scopes, preventing them from falling off while you are walking or running. The depth of the spotting scope pockets also saves you from breaking the lenses of the scopes due to falls. These pockets can also house other gadgets you may want to bring along during your hunt. The X1A2 incorporates a light metal frame (Gossamer lightweight frame) that provides a great deal of support for the heavy items you carry in the pack. This feature is very helpful because it significantly shifts the weight of the heavy loads in the pack to the hips, thereby reducing the load’s pressure on your back. This greatly helps in minimizing fatigue. In addition to this, the gossamer frame also plays an important role in making the pack durable, enabling it to withstand high impact. The pack’s renowned Ripcord Bowtether allows a hunter to securely and comfortably carry a bow and easily reach for the bow without first having to get the pack off his or her back. This feature allows the hunter to assume a shooting position very quickly, especially when he or she bumps into game unexpectedly. This feature is also life saving, especially in instances when a predator attacks during your hunt, and you need to kill it with your weapon instantaneously. The pack’s rifle Backscabbard holds your rifle in place, preventing it from falling unexpectedly. Additionally, the backscabbard allows you to pull out the rifle with extreme ease. For hunters who prefer concealing their weapons, the pack hides a great portion of your rifle. Furthermore, the rifle scabbard increases your level of comfort while on a hunt, as your hands become free to engage in other activities. The pack has adjustable shoulder harness, which allows for differing torso lengths. This means that people of varying heights can use the bag with equal comfort. In addition to this, the pads on the shoulder harness also provide comfort for the shoulders. It is so durable it can withstand high impact. It’s light, making it easy and comfortable to carry around. Besides hunting, it can be used for other outdoor activities such as hiking. Its scope pockets and rifle scabbards allow you to walk/run hands-free during your hunt. Its padded waist belts allow you to fasten the pack to your body securely and comfortably. Its 1500 cubic inches capacity provides adequate space for your valuables. The camouflage colors enhance your chances of catching game by making it difficult for game to notice you. The pack is very quiet, making it difficult for game to detect you while you are approaching. It’s comfortable to carry the pack during warm/hot seasons. It minimizes fatigue by reducing the pressure of heavy loads on your back. It cannot stand on its own; it has to be propped. Would be very perfect if it had some more tie down straps. It doesn’t come with a rain cover. Q: Who are the manufacturers of X1A2 Nylon Pack? A. 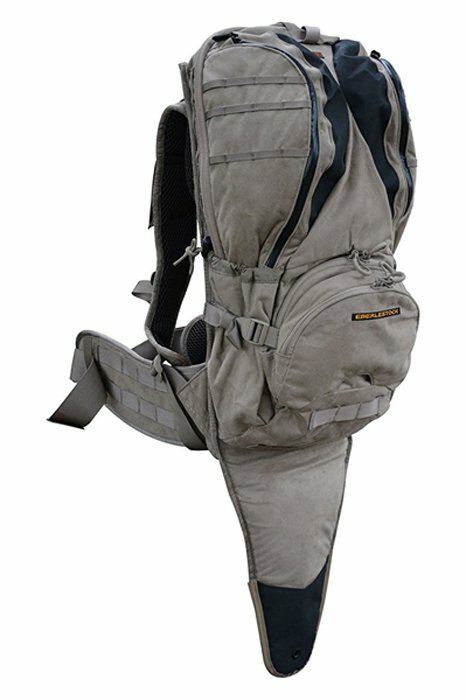 The pack is manufactured by Eberlestock. Eberlestock is an American designer and producer of hunting packs, hunting apparel, shooting gear, sleep systems, storm cases, etc. Q: How much does the X1A2 Nylon Pack weigh? A. The pack weighs 5lbs, 14oz. Q: Does the pack have an adjustable torso? A. Yes, the pack comes with a good adjustable torso. A. You can purchase the pack in four colors, namely: DRY EARTH, HIDE-OPEN TIMBER VEIL CAMOUFLAGE, UNICAM DIGITAL CAMOUFLAGE, and WESTERN SLOPE. A. Yes, the pack has a handle. Q: Does the pack come with a rain cover? Q: Does the pack come with a hydration bladder? A: No. You must purchase it separately. Q: Does the pack have a lifetime warranty? A. The pack has a simple lifetime workmanship warranty. A. 22L X 10W X 7D. Q. How do I wash the pack? A. The best way to go about washing the pack is to use a detergent that is mild and scent free and a pressure washer or a high pressure hose. After washing the pack, you should hang dry it. It is not advisable to use a dryer or a washing machine during the cleaning process. From the Eberlestock X1A2 Backpack Nylon review above, we can see that the X1A2 Nylon Backpack is not only durable, comfortable and spacious but also allows you to carry your bow and gun hands-free while allowing you to have quick access to them whenever the need arises. While it is purposely designed for hunters, other enthusiast hikers and outdoor enthusiasts can use the pack as well. 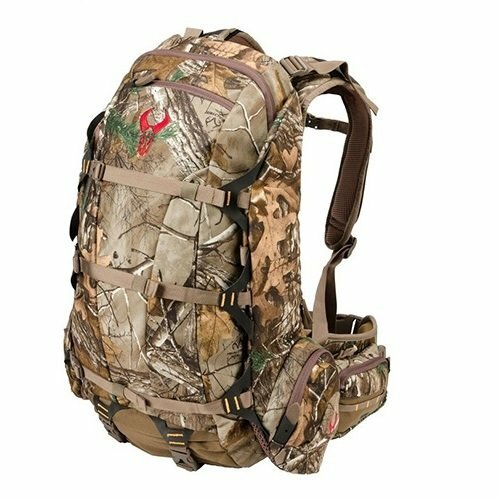 The pack provides value for money, especially for hunters looking to combine efficiency with mobility.